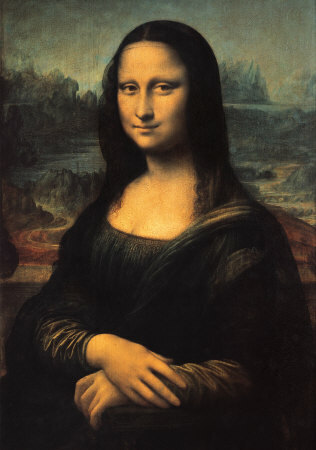 Call it the ultimate in high art: Using a well-timed laser, NASA scientists have beamed a picture of Leonardo da Vinci's masterpiece, the Mona Lisa, to a powerful spacecraft orbiting the moon, marking a first in laser communication. The laser signal, fired from an installation in Maryland, beamed the Mona Lisa to the moon to be received 240,000 miles (384,400 km) away by NASA's Lunar Reconnaissance Orbiter, which has been orbiting the moon since 2009. The Mona Lisa transmission, NASA scientists said, is a major advance in laser communication for interplanetary spacecraft. "This is the first time anyone has achieved one-way laser communication at planetary distances," David Smith, a researcher working with the LRO's Lunar Orbiter Laser Altimeter — which received the Mona Lisa message — said in a statement. "In the near future, this type of simple laser communication might serve as a backup for the radio communication that satellites use. In the more distance future, it may allow communication at higher data rates than present radio links can provide."